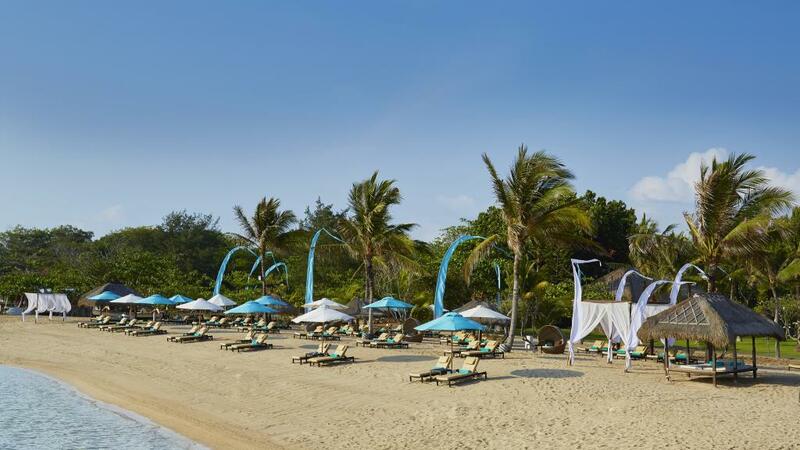 Sol Beach House Benoa Bali is located on the beachfront in Tanjung Benoa. This Bali hotel is situated near a traditional fishing village and art market, 5 minutes from the golf course and Nusa Dua Shopping Centre, and 10 kilometres from the Kuta Shopping Centre. This intimate and elegant Bali resort features a wonderful choice of guest rooms and suites which combine a subtle Balinese touch with modern conveniences. Unwind at the day spa at Sol Beach House Bali Benoa with a relaxing massage, join in with the daily activities or indulge in the spicy flavours of Asia or more traditional Western favourites at one of the restaurants.